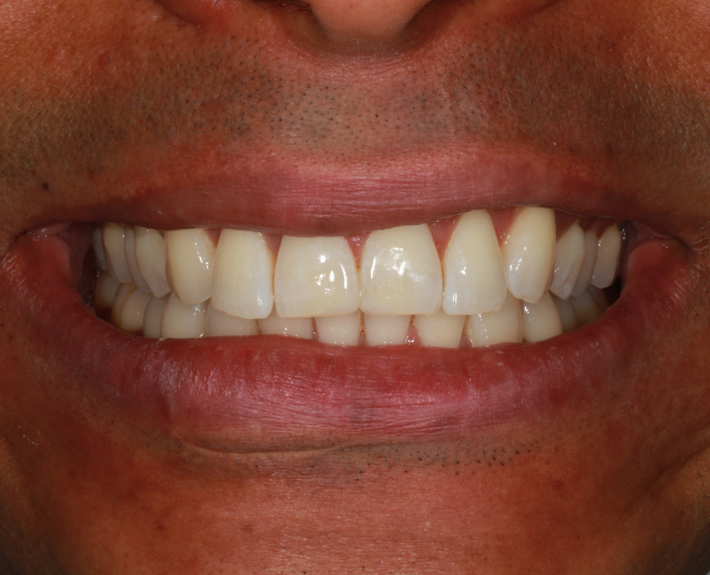 The single anterior crown, probably the biggest aesthetic challenge in dentistry! Porcelain Crown & Composite Veneer. 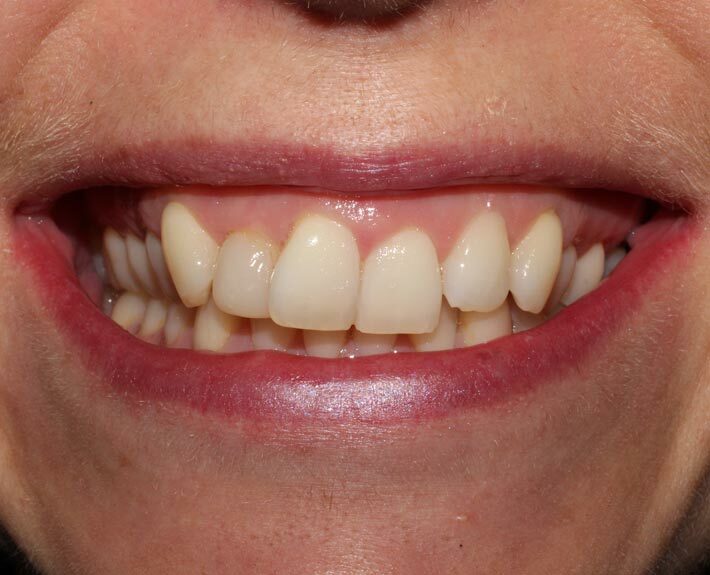 Using minimally invasive dental bonding the gap between these teeth was closed giving a flawless finish. 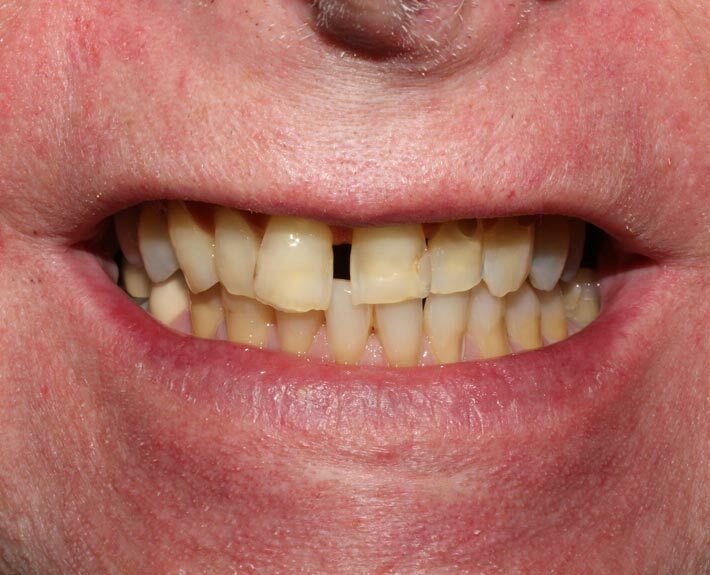 Note the teeth were also whitened to give a much brighter appearance. 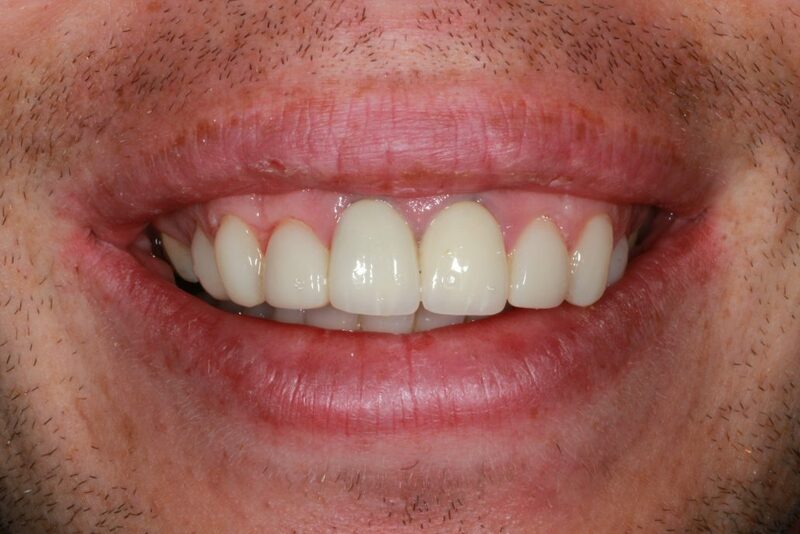 Minimally invasive dentistry at its best! 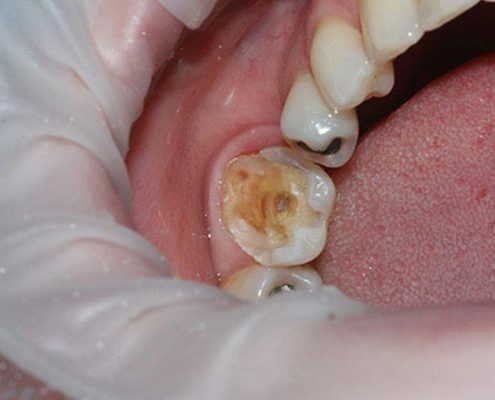 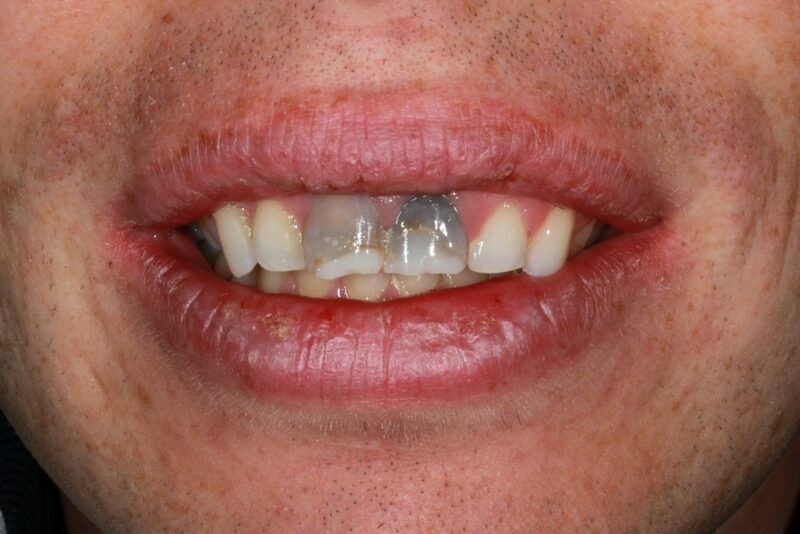 A drill was not lifted for this case, the teeth were not damaged at all. 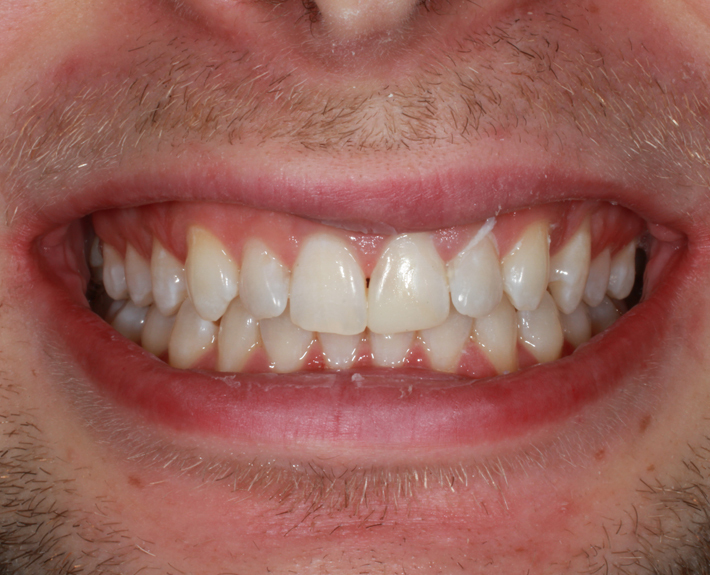 Corrective Treatments. 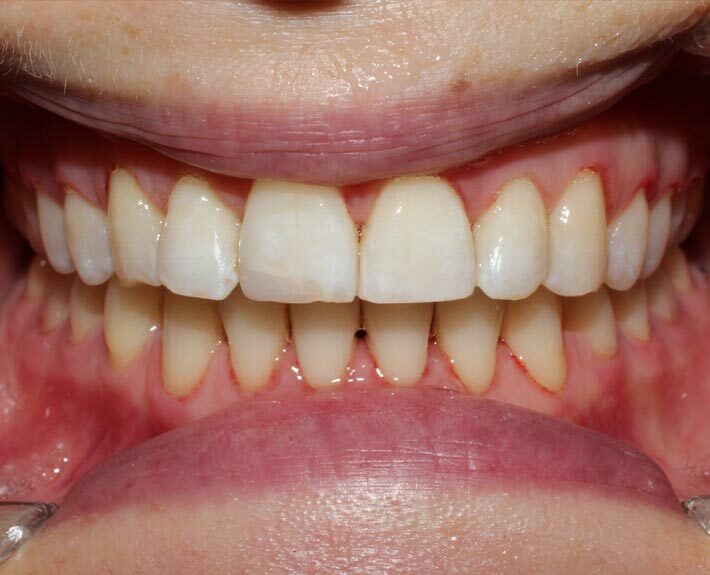 Some cases can take less than 24 weeks. Upper & lower arch finishing. 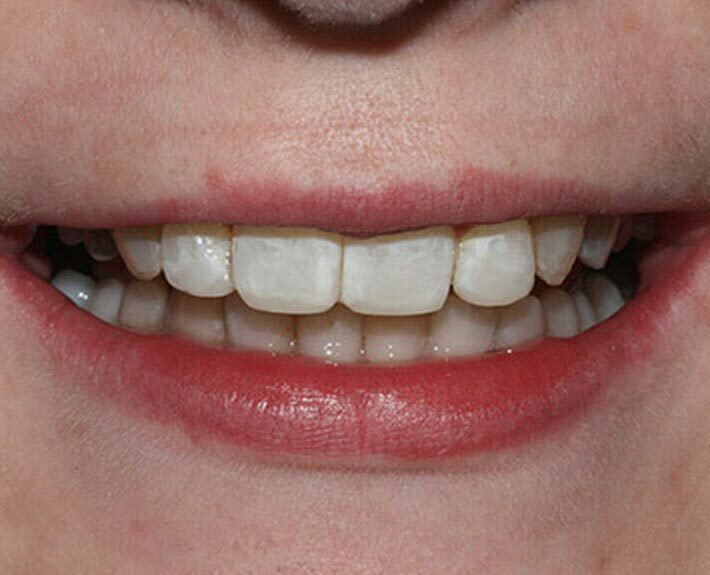 Whitening treatment and Dental Bonding. 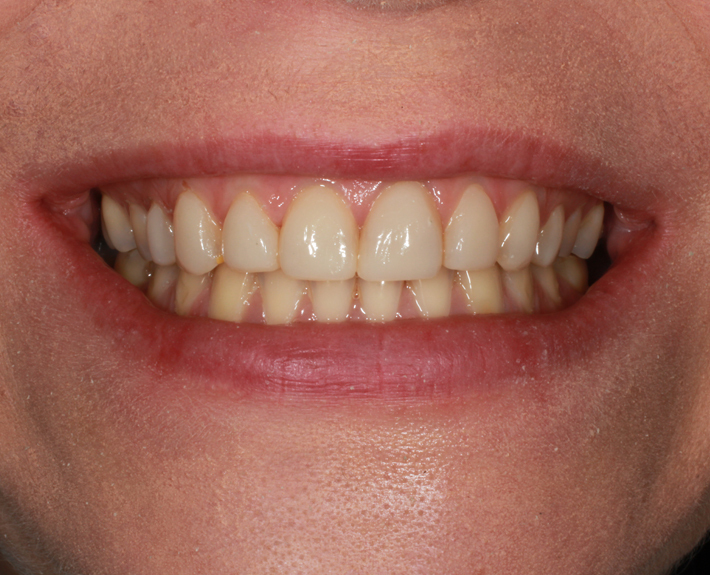 Dental bonding to repair teeth and improve appearance. 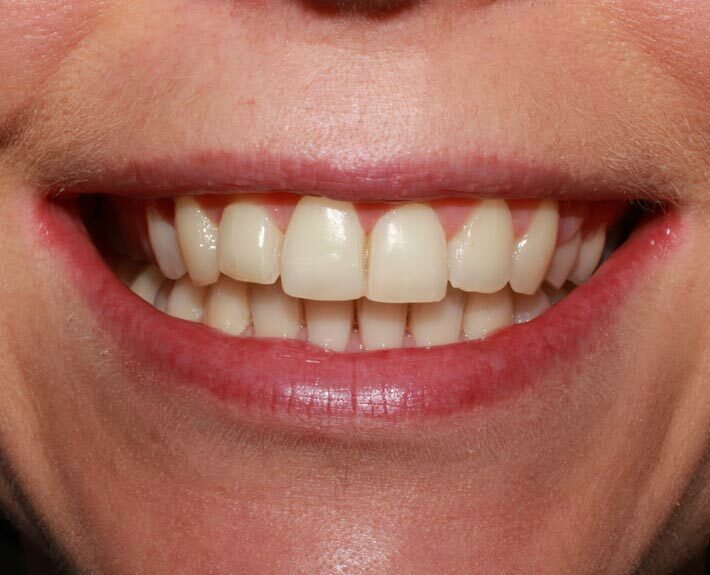 We use minimally invasive dentistry. 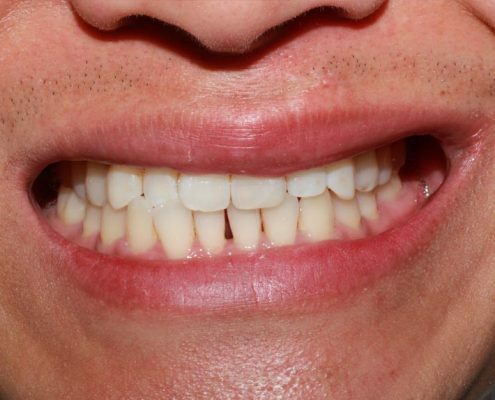 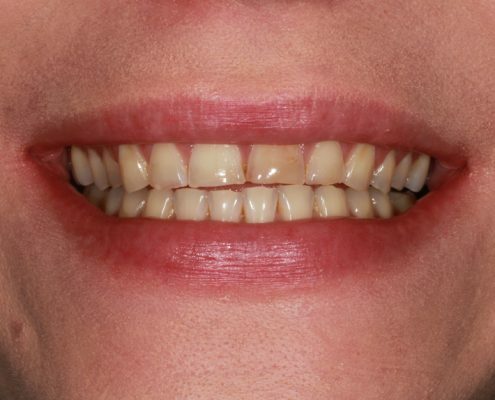 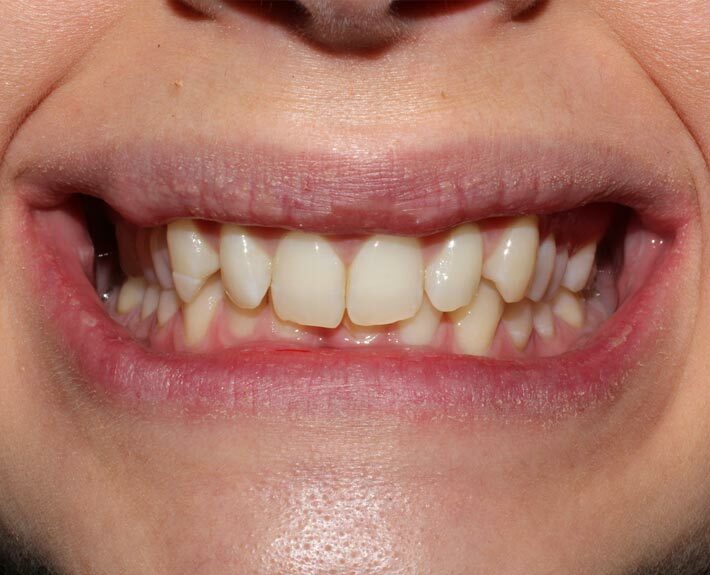 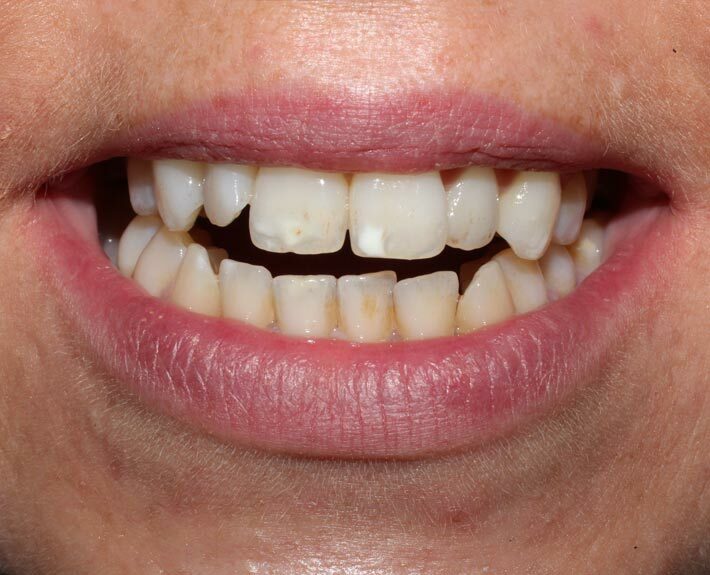 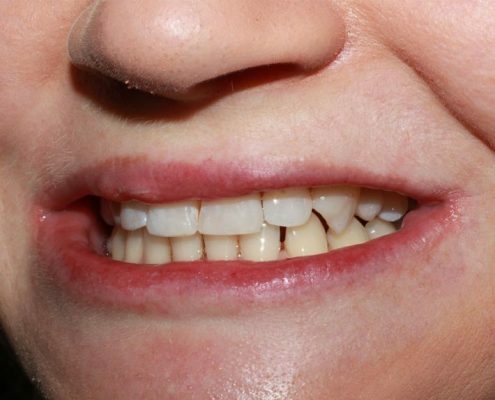 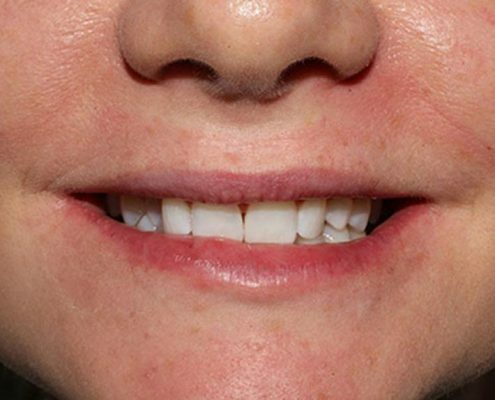 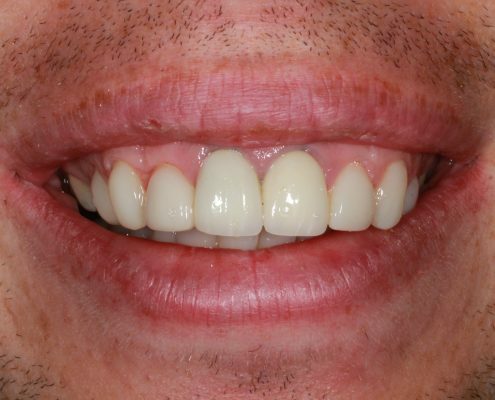 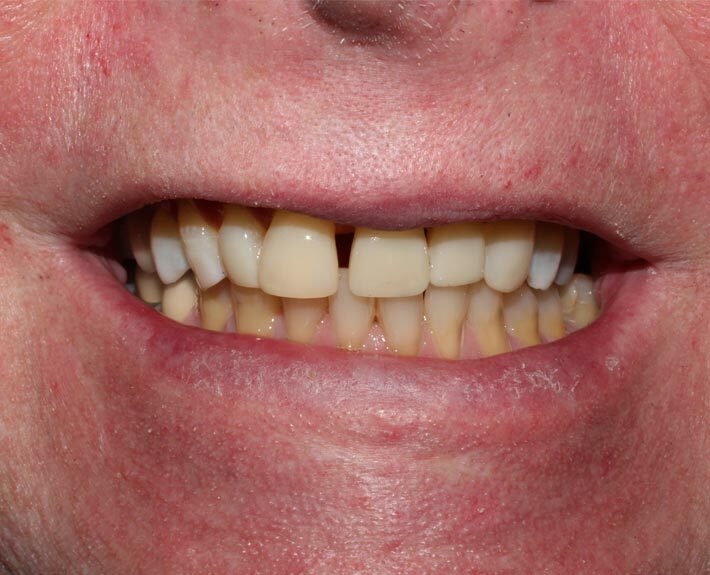 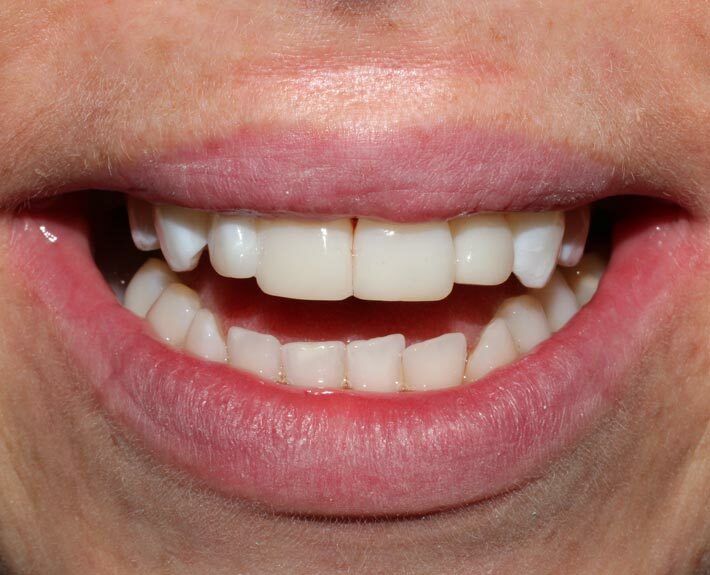 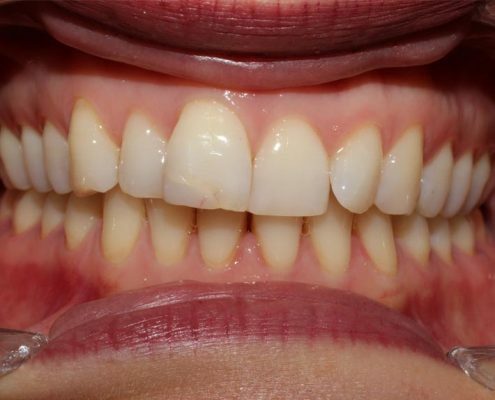 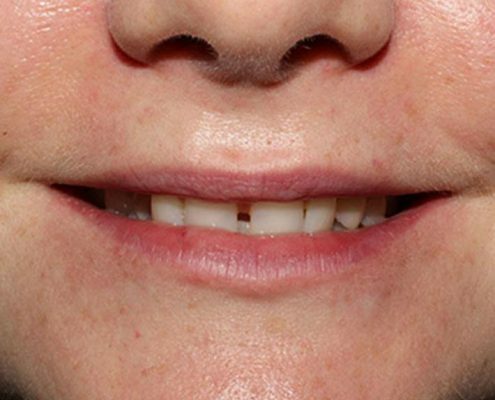 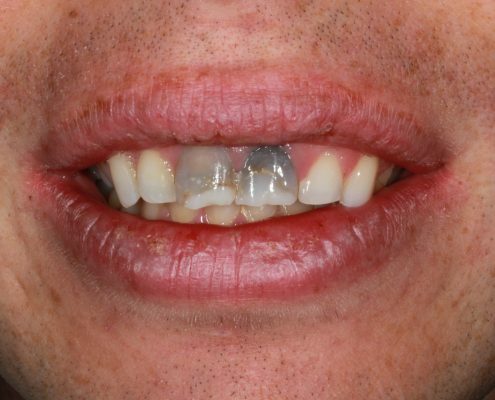 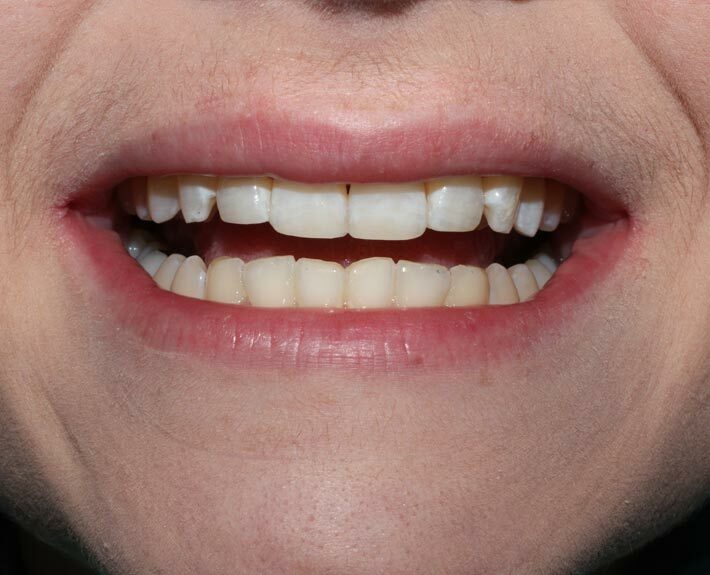 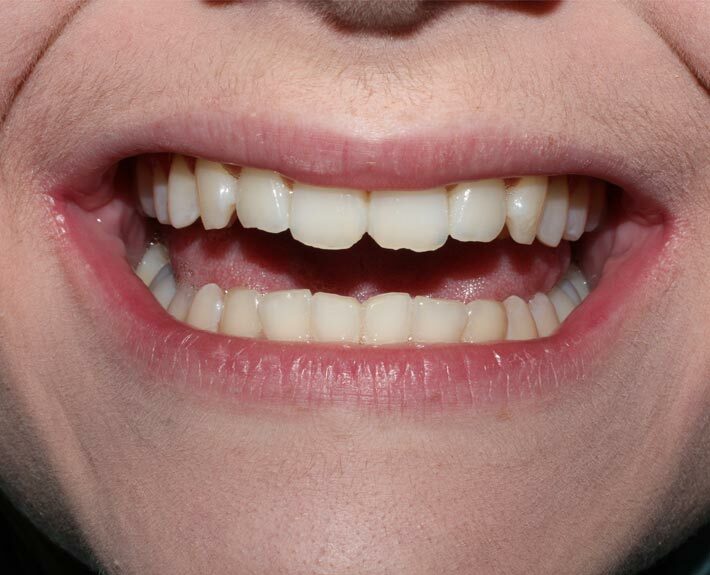 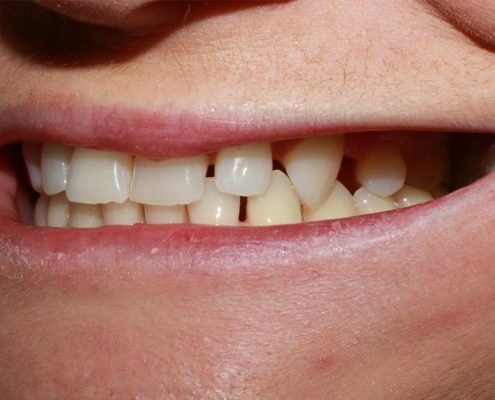 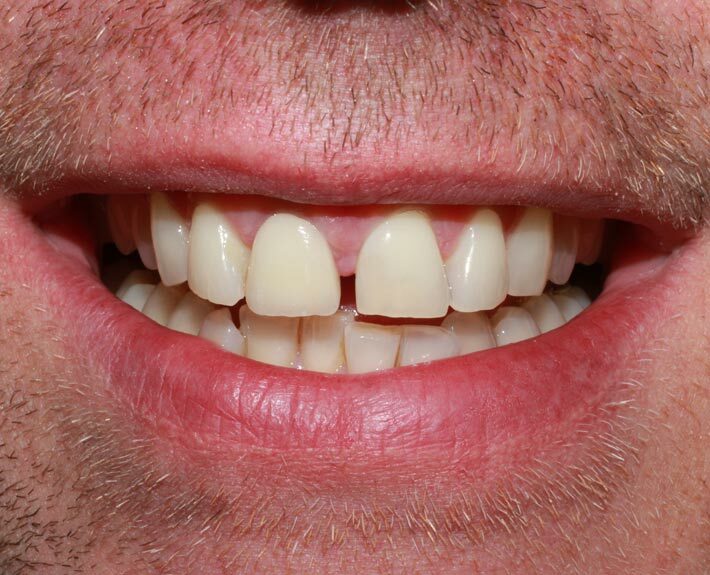 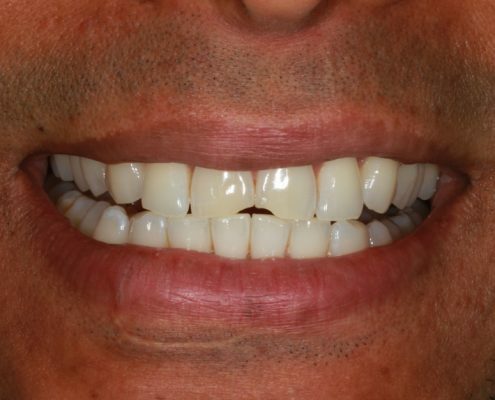 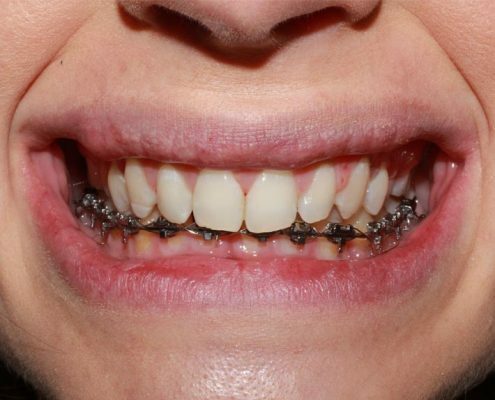 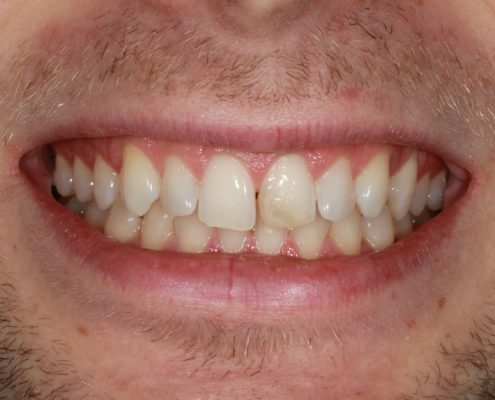 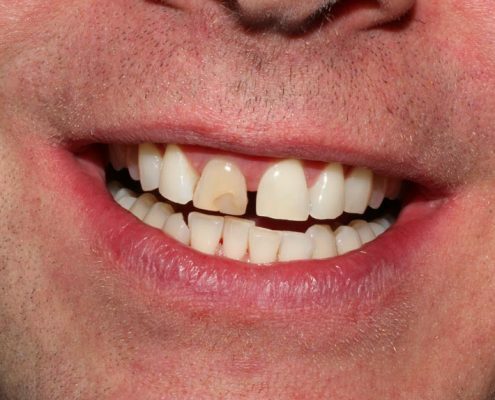 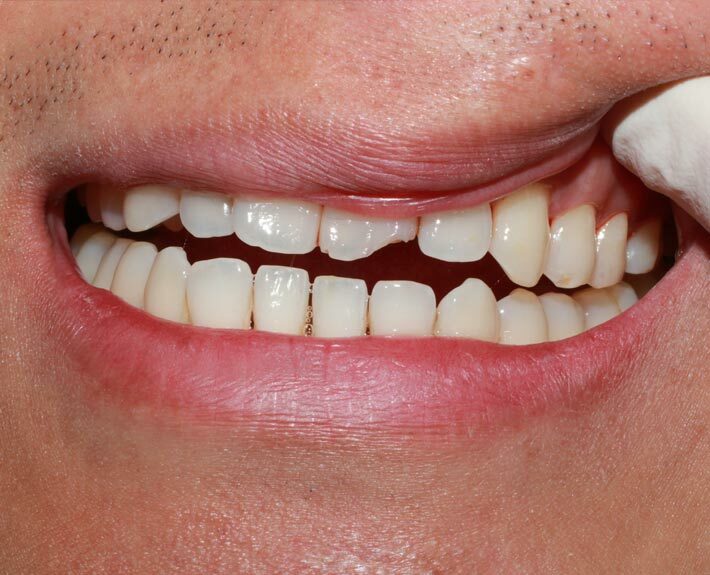 Below are examples of cases treated using dental bonding to correct problems with front teeth. 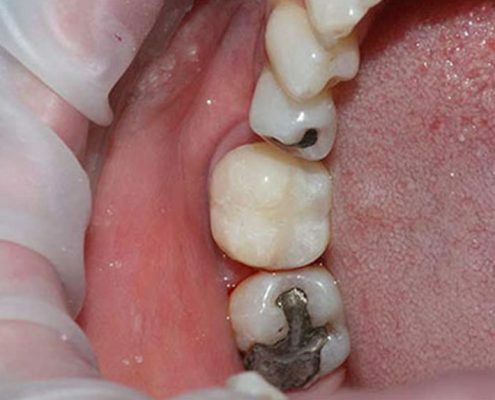 Here is an example of a tooth that was heavily broken down and would probably have needed a crown in the past. 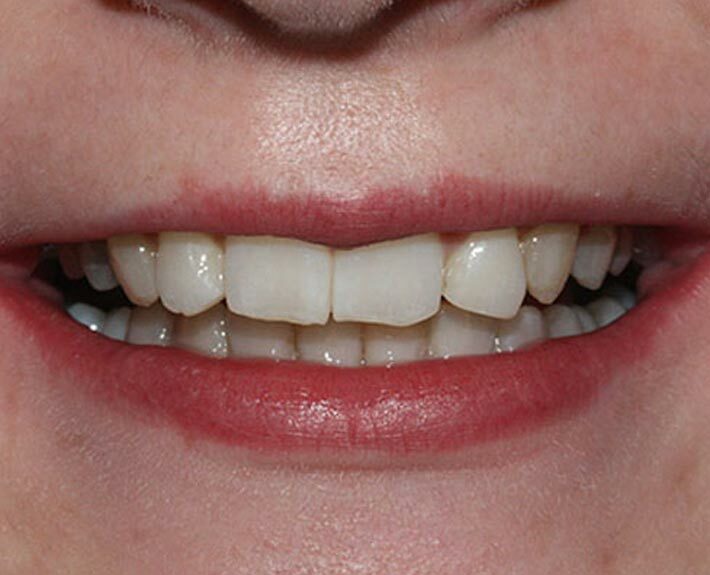 Modern bonding techniques allow us to retain tooth structure and rebuild the tooth to full function.